"I need a lot of work on my game and to spend time with people that are important to me," said the American. "I enter a tournament to compete at the highest level. When I think I'm ready, I'll be back." Woods, a former world number one who has won 14 majors, has withdrawn from three of his last eight competitive tournaments. In missing the cut in Arizona last month, he recorded the worst round of his professional career with an 11-over-par 82 in the second round. Finishing last in a field of 132, Woods said: "I've got to keep this in perspective. Sometimes that's hard to do." "The fact that Woods has publicly recognised the standard of his game is unacceptable is telling. It is extremely rare for him to publicly acknowledge such vulnerability. The indefinite nature of this break is a worry for his legion of fans and the game at large. Even if he does find an improvement on the range, there are no guarantees that he will be able to sustain it under the pressure of competition." "What we can now say is that we're witnessing the decline of Tiger Woods. You wonder whether this might actually be the beginning of the end, or maybe the middle of the end as far as Tiger Woods is concerned. "If he manages to make himself competitive again then it will be one of the greatest successes of his career - if he doesn't then these sorts of questions will be asked with louder and louder voices." 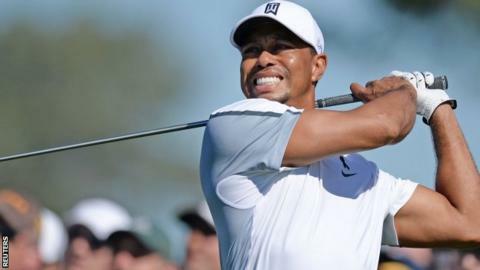 On his website, Woods said he regretted withdrawing from Torrey Pines and that his current injury was not related to last year's back surgery. He intends to spend the next week practising at home and said he could return to action at the Honda Classic, which starts on 26 February. "I won't be there unless my game is tournament ready," he added. "I am committed to getting back to the pinnacle of my game. I do expect to be playing again very soon." How can Woods halt alarming decline?